He mustn’t aim too high though! Mark your calendars my friend. 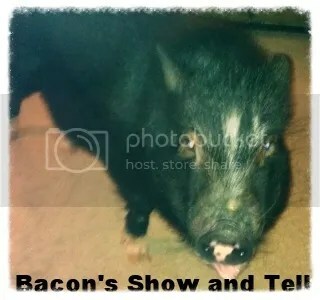 Bacon’s Show and Tell for January is scheduled for Friday, February 26th, 2016. This month – the job was for us anipals in finding an embarrassing picture of our humans. Oh my friends – I think I found the topper of all embarrassing pictures – one of my daddy. And let’s just say that I could not have planned this one even if I tried. O.M.P. When I saw it, I couldn’t believe it. I snorted so loud and said, “Pig, this is the ONE”. You see, mom/dad went to a family restroom at our local Sam’s Warehouse. Of course, the call of nature hit both of my humans at the same time. Mom got the grown up facility while dad was forced to use the little one… and I do mean little one. Many people in Westminster saw Boris Johnson’s Brexit stance as a way of positioning himself against the pro-Remain George Osborne in any future Tory leadership contest. If so, his column in this morning’s Telegraph is well worth reading, as he steps up his war against the Chancellor with several carefully aimed swipes. The London Mayor rebukes “the agents of Project Fear” for their campaign rhetoric, scoffing at the Treasury for pushing to include a warning about the potential “shock” of Brexit in a G20 Communique. “Surely the first time any country has used an international forum actively to talk up threats to its own economic prospects,” Johnson muses. The Leave side faces an uphill struggle in the referendum campaign as voters currently see Brexit as a riskier option than staying in, and will tend to choose the closest thing to a status quo if they are still unsure on June 23. Previous referendums have seen this tendency take place, like in 2011 when Britons considered the AV electoral system. The Remain campaign has been consistently pushing the “Brexit – Don’t Risk It” message, with supporters undoubtedly pleased by the government’s first official analysis into the impact of leaving – seen by the Guardian – which found that it would leave Britain facing “up to a decade or more of uncertainty”. This dossier will be swiftly dismissed as fear-mongering by Eurosceptics and be grist to Johnson’s Brexit mill. Cabinet Office minister Matthew Hancock demurs, declaring that the government analysis shows that “the risks to our economy are clear and would leave the jobs and prosperity of the British people dangerously exposed”. In this light, Johnson sets out the dangers of continued EU membership, arguing that “the real risk to sit back and do nothing, to remain inertly and complacently in an unreformed EU that is hell-bent on a federal project over which we have no control.” Johnson’s warning will be met with sympathy by former Bank of England governor Mervyn King, who warns today that the Eurozone is doomed to fail. “Leaving the euro area may be the only way to plot a route back to economic growth and full employment,” he writes in his new book, serialised in this morning’s Telegraph. Some Tory MPs have yet to make up their minds on how they’ll vote in the referendum, with Charlotte Leslie confessing to a lack of “zeal for either side of the argument”. “Whether we are in or out, if the European Union continues to put post-war Utopianism and a Germanic guilt-complex ahead of straightforward strategic pragmatism, Britain is stuffed,” she warns. You can follow what happens today on our liveblog. Angela Merkel, the German chancellor, said that the EU cannot allow Greece, a country bailed out from its huge debt crisis, to plunge into “chaos” by shutting European borders to refugees. “Do you seriously believe that all the euro states that last year fought all the way to keep Greece in the eurozone – and we were the strictest – can one year later allow Greece to, in a way, plunge into chaos?” she said in a TV interview. This comes as Swiss voters rejected a proposal to automatically deport foreign criminals for even minor offences. Since we asked readers to send us questions about the EU, we’ve had a flood of queries. Hundreds of readers have already emailed eufacts@telegraph.co.uk asking for information to help them decide how to vote. More emails come in every minute. So far, the most common topic for questions is the EU budget and Britain’s contribution to it. James Kirkup provides some answers. Hillary Clinton demolished Bernie Sanders in the South Carolina Democratic primary on Saturday, soothing the sting of her defeat in New Hampshire and setting the stage for a Super Tuesday triumph. The final margin of victory was a staggering 48 points, with Mrs Clinton winning among black voters by a four-to-one margin and erasing large deficits among young people and progressives. This comes as Donald Trump quoted the words of Italy’s fascist dictator Benito Mussolini on Twitter. George Osborne’s pledge to cut Britain’s debt share this year is in jeopardy after official figures showed the economy is smaller than previously thought. Weaker total spending has blown a £17bn hole in the public finances, putting the Chancellor’s plans to reduce public debt as a proportion of GDP in doubt, according to new analysis. This comes as John Mason MSP, deputy convener of Holyrood’s Finance Committee, surprised many on Twitter when he asked how “national debt is different from national deficit”. A Conservative activist accused of bullying Elliott Johnson has revealed the pair were in a relationship until he died, ahead of an inquest into the suspected suicide this week. Andre Walker said he did not speak out about the relationship with Mr Johnson sooner because it would upset the boy’s family. A coroner will rule later this week on whether an inquest into Mr Johnson’s death should look at allegations he made about bullying by senior Conservatives in a suicide note he left for his parents. The Labour Party has launched a fresh investigation following allegations of anti-Semitism at Oxford’s student Labour Club, as the row deepens amid accusations of a “cover-up”. The new investigation comes after the Party was handed a report by Labour Students detailing the harassment and intimidation of Jewish students. This comes as Labour’s youth wing faces calls for a probe into allegations of bullying after an election for its representative to the party’s National Executive Council. More than a dozen retired British soldiers are likely to be questioned by Northern Irish police next month over the Bloody Sunday shootings, The Telegraph can disclose. Up to 15 former paratroopers expect to be interviewed under caution by the Police Service of Northern Ireland (PSNI) in March, as part of a murder inquiry into events in 1972 that led to deaths of 13 civilians. The interviews will take place in England after lawyers acting for the soldiers won a judicial review last year that argued that it would be illegal to arrest any of the men at their homes without notice and remove them to custody in Northern Ireland. As the Russians insist that the Assad government is the only legitimate government, all anti-Assad fighters — ISIS, al Qaeda-related, or U.S.-backed or Turkish-backed “moderates” — are, by definition, terrorists. He looked in his pockets and realized he had left his wallet at home. He told the woman that he was very sorry but he seemed to have left his wallet at home. “Will I have to go home and come back now?” he asks. The woman says, “Unbutton your shirt.” So he opens his shirt, revealing lost of curly silver hair. 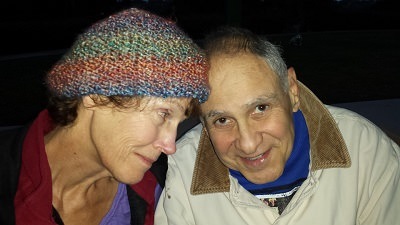 She says, “That silver hair on your chest is proof enough for me.” and she processes his social security application.